I was lucky enough to be picked to be one Crusade Clothing’s VIP bloggers, alongside two others a couple of months ago. If you follow me on Instagram you will have seen that i also got sent a gorgeous tropical print playsuit which i cant wait to take away on holiday with me and which will be featured in another blog post soon! I am over the moon with this dress that they sent to me. I adore the pastel colour and the cage like neckline is so different and something which i haven’t seen before,its so delicate and really is eye catching. The Dress is lined by two materials so it isn’t see through, always something that i worry about with light coloured clothing. It really is a beautiful light weight material which hangs perfectly and the fit is really flattering. 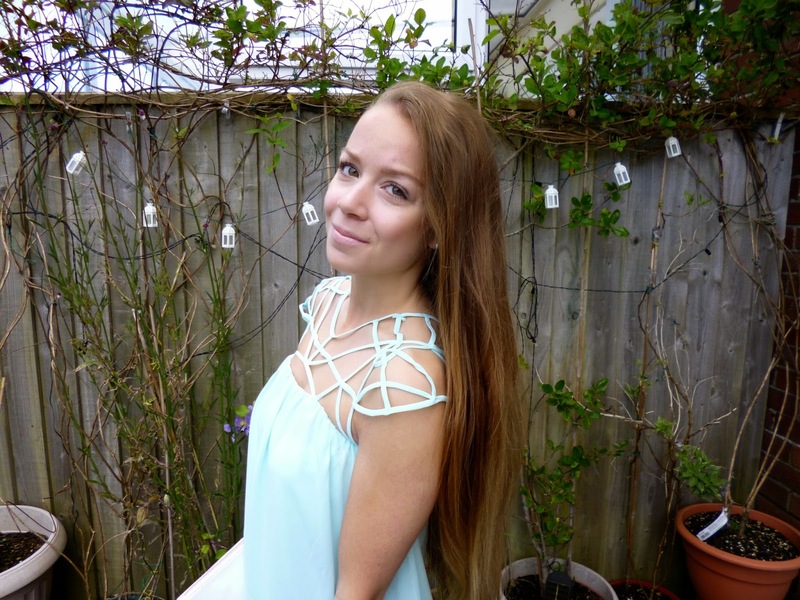 I cant actually find the direct link of this dress online so i’m not sure if its being stocked anymore, but they do have some similar style dresses with the detail in the middle of the dress which is equally as pretty and different! 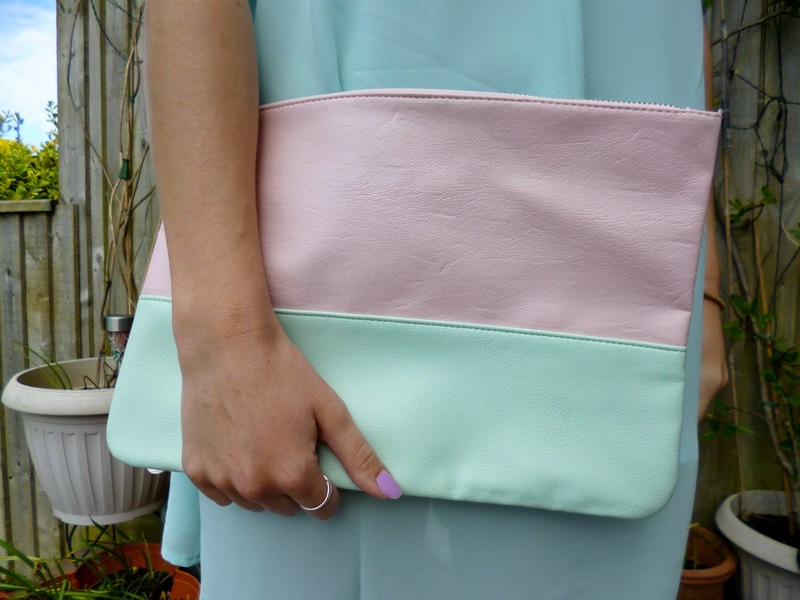 My favourite primark pastel clutch co ordinates with this dress perfectly,i really do love pastels far too much. I also plan on wearing this in the evenings, i need to find a perfect pair of pastel heels or wedges first though! What do you think of this outfit? Do you like the neckline? Have you heard or shopped with Crusade clothing before?